We all think there are ways things might have been. I might now be sunning myself on a beach in Italy instead of slaving over a hot laptop. Or I might now be asleep in bed. In fact there are a potentially infinity of things I might have been doing. There are also a potentially infinity of things I might have been. So instead of being Director of Studies in Philosophy at OUDCE, I might have become a teacher, or a lawyer, or I might have married Prince Charles and be opening hospitals (OK some are more likely than others!). We also think that there are things that would be the way they are no matter what. 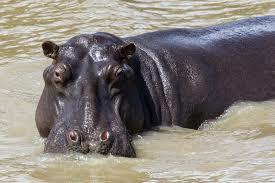 So I might have been any of the things above, but I couldn’t have been male or a hippopotamus or a paper clip. If this is right then I am necessarily female and human. 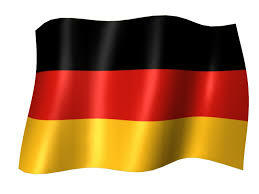 I was not born in Germany, have never lived there and do not speak German. But surely this counterfactual is true isn’t it? And here is the problem. What on earth makes this counterfactual true? And what makes it true that I might have been a lawyer or sunning myself on an Italian Beach? Clearly it is nothing I can perceive, indeed nothing that is actual unless, that is, possibilities are actual. But if possibilities are actual, what exactly are they? What is their nature? This is a major question in metaphysics. Some people are realists about possibility. 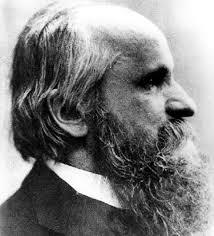 For example Some people would take a leaf out of the book of the philosopher Alexius Meinong. Meinong argued that there unactualised possibles. He meant that there exist things that don’t exist. Indeed he even thought there exist things that can’t exist (such as square circles). Clearly if the Meinongians are to avoid contradiction they must distinguish different forms of existence. There is the sense in which you and I exist. Then there is the sense in which Pegasus or Hamlet exist. But to embrace this theory is to face a lot of problems. Occam, for example, would be turning in his grave – if we introduce unactualised possibilities into our ontology (our list of what exists) then where do we stop? Does anything I can think about exist? Surely that means the things that exist are never-ending? And if Sherlock Holmes exists (in whatever sense) then there ought to be facts that determine such things as whether he has three buttons on his waistcoat or not. But clearly there are no such facts. How do we reconcile the ‘gappiness’ of unactualised possibilities with our usual concept of something that exists? David Lewis rejects Meinongianism. He thinks the only things that exist are actual. So there are no unactualised possibles. But don’t relax and think everything is OK because Lewis thinks instead that every world that is possible actually exists. So the world in which I am a lawyer actually exists, as does the world in which I am Prince Charles’s wife…. We might immediately think Occam would have something to say about this. But Lewis would point out that although there are lots of token worlds to admit into our ontology, his view requires that we admit only one type of thing: a possible world. And as possible worlds are just like the actual world (indeed our world is actual only in virtue of the fact we are in it) we have to admit things of this type. 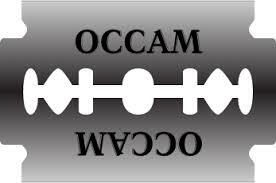 So Occam can be pacified. But if all possible worlds are actual where are they? Can we see them? The answer is no. All possible worlds are causally and spatio-temporally isolated from each other. Nothing ‘leaks’ from one world into another. But this brings its own problems. How do we know about possible worlds? Must we admit a special faculty by which we know of possibilities and necessities? There are precedents for this of course – Kant insists we need a special faculty to see the necessity of our moral duty, so why not use a similar faculty (or even the same faculty) to discern possibility? But how can we inhabit more than one world? If there is a possible world in which I am a lawyer, then I must exist in this world and also in that world. How is this possible? Lewis can answer this question to by appeal to his ‘counterpart’ theory – I can’t exist in more than one world – but my counterparts can. An important thing to note in talking about possible world theory is that it is distinct from multiverse theory. The latter is a theory in physics, not philosophy. Although it, like possible world theory, talks about multiple worlds, the worlds of multiverse theory are parts of this world, they are actual. But unlike Lewis’s actual possible worlds we might one day have empirical evidence for the other physical worlds of multiverse theory. We couldn’t have empirical evidence for possible worlds, however actual they are. It is logic that tells us they exist, not our empirical theories. This entry was posted in Blogs, Monthly Conundrums and tagged Alexius Meinong, argument, Counterfactuals, David Lewis, logic, Modality, Necessity, philosophy, Possibility, Possible worlds. Bookmark the permalink. Hello. Isn’t trying to answer the question of the existence of possible worlds unnecessary? Couldn’t statements like ‘If I had been born and lived all my life in Germany I would be able to speak German’ be taken to be inductively true? The real problem I see is with arguments which do not make any sense in the physical sense but have no problem logically. We need to imagine possible worlds with different physical rules where such arguments might also be valid physically and could be tested. But since the terms in these arguments could be exchanged with abstract things like letters, isn’t this only logical validity with no need to imagine a possible world.What I’ve never quite understood is whether, if we try to imagine possible worlds, can we imagine an illogical world? An unphysical world is of course imaginable. I have had unrealistic (which violate known laws of physics) dreams, but is it even thinkable what an illogical dream would look like? It is certainly the case that you can use induction to decide the truth value of ‘if I had lived in Germany all my life I should have spoken German’. But the inductive reasoning would go: ‘everyone I have ever known or heard of who has lived in Germany all their lives has spoken German’. To go from this to ‘if I had lived in Germany….it is necessary to extrapolate from actual circumstances to possible situations. That’s where the possible worlds come in. But you are right that we need possible worlds when we are engaging in argument rather than in empirical study. The question of which worlds we can imagine and which we can’t is a very important one. Is there a world in which I am male? Difficult to say. The philosopher Meinong believed that there are worlds in which square circles exist, so he certainly believed in impossible objects. Not necessarily. Potential situations are not hypothetical arguments, but essential part of reality. For example, let (A) be a certain child. The potential world of (A) becoming an adult – is an essential part of the attributes defining a child. The Law of Identity defines a child (A) as being itself (A), but this “itself (A)” contains the attribute of growth into future world of adulthood. Aristotle focused on the Actuality of an object avoiding Potentiality, but because the actual stage (A) is a cause for another possible manifestation of (A), then the potential field of possibilities, which are associated with actual (A) – are part of the real definition of (A). In fact A = A(t), it is a function in time. Because we exist in Time-Space continuum, then A(t) obeys the laws of this continuum, and one of which is the Arrow of Time, a directional development of events. Therefore for me now in 2014 to wonder about a possibility that I could have taken in 1980 for example, migrating to Germany and all associated stories – OK, this is the hypothetical sort of argument (may be good for self reflection) but is meaningless in terms of possible worlds of 2014. At this stage, now, I am surrounded with few major possibilities (each of us also: we are always surrounded by a field of possibilities) for the future, and this property – of having Possible Worlds – is a decisive part of my existence, not a matter of just logical arguments.. I remember reading in the obituary of Elizabeth Anscombe that she had a crisis of conscience as a Catholic because she was required by the Church to believe that statements including “would have” can be true or false; she thought that was impossible. But some priest reassured her that she could remain in the flock without compromising her integrity (or, presumably, her passage to Heaven!). Well, her problem was exactly the problem of whether counterfactuals can be true and false, and if so what makes them true or false. The fundamental flaw with this argument is the belief that the counterfactual, “If I had been born and lived all my life in Germany I would be able to speak German” will always be true. We may find it difficult to believe that someone born in a country does not speak the native/primary/national/[place whatever description you want here] language after having lived there for a period of time but that is a simple fact in many countries. There are many people — native Americans in Alaska and Aborigines in Australia for example — who do not speak their nation’s primary language. In fact, considering that the Aboriginal Australians existed prior to colonization by the British, a valid argument can be made that Australia’s native language is any one of the 27 native languages of Aborigines. Therefore, people can be born in Australia, live there all their lives and not speak the native language. 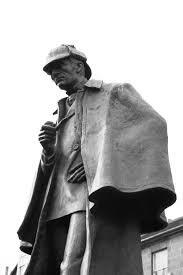 To extend your Sherlock Holmes analogy, “Once you eliminate the impossible, whatever remains, no matter how improbable, must be the truth.” – Sir Arthur Conan Doyle. Simply put, all counterfactuals are neither true nor false; they are merely speculation. John-Brian, can I just say that starting a message with ‘the fundamental flaw in this argument’ is not going to endear you to people. I have banned members of the Philosophical Society from starting questions thus, because it automatically puts the person with whom they are arguing on the wrong foot. The Principle of Charity is vitally important: we assume our interlocutor is rational, and that his beliefs are mainly true. This doesn’t mean he hasn’t made a mistake, but recognises that the mistake might be OURS – i.e. we might have misunderstood something. I believe you’ll find that if you start by saying: what an interesting argument, but might it be the case that….. will get you much further. But to respond to your point. No-one is assuming that this counterfactual will ALWAYS be true. There are certainly possible worlds in which it is false. In fact, as you point out, maybe it is false even in this world. The idea, though, that counterfactuals may be neither true nor false is certainly possible. But how do you explain the fact that in everyday talk we act as if they are true or false all the time. We even make hugely important decisions on the basis of them. A fascinating subject. In 17th century, Gordano Bruno argued in his thesis entitled “On the Infinite Universe and World”, that the possibility for other worlds exists (because if we deny it, then we deny that God is capable of creating other worlds). For expressing this and other views he was burnt alive in 1600. As you mentioned in your Utube lectures, Marianne, we can understand “Possible Worlds” as “Possible Situations”, or Potentials. The problem in how to view “Potentiality” is created by our acceptance of the Laws of Thoughts, in which Aristotle described Actuality and Potentiality as opposed to each other. Potentialities do not exist YET, and some may never be realised. To encompass them, Eastern Philosophies introduces the concept of a field which inhabitants (possibilities, memories, dreams) cannot be described in terms of existence or non-existence, but in terms of Information. Information is non-substantial in its essence, so the field which contains such Information – is called Non-substantial Domain. We can “download” a potential (dwelling in the field on the Non-substantial) to this actual reality pending causes and conditions – but these causes and conditions are covered by our physical world, which filters out what is realisable and what is not. You sound as if you know all these answers to these difficult questions – but i can assure you there are many hugely intelligent people working on these problems – they are not quite as easy as you think. Thank you Marianne for the links. Yes, I need to expand my knowledge on these things, as I am engaging myself now in a study of Aristotle’s Laws of Thought. Aristotle focused on studying “things of persisting nature”, or on Actuality of (A), and regarded Potentiality (P) as in an opposite field to Actuality. But because actuality of (A) is THE cause for a possible (P) to manifest later in reality, then (P) should be contained within (A), as an essential attribute of (A). Actuality focuses on “substance” of A, but (P) is a field of “Information” about probabilities of future development. It is data, non-substantial in its nature. To identify (A) by both “substance” and “non-substantial field” of related Information (P) is not inconsistent with reality of (A) being a function of time A= A(t), containing also its potentials awaiting manifestation at each moment (t). But i need to find out more about the subject, thank you again. Many thanks for this post. I must say, I struggle with the idea of possible worlds actually existing but I confess I still haven’t found the time to research it. How does the idea differ in the face of the coherence and correspondence theories of truth? For example, if we accept that we experience the world behind the veil of perception then it means that the world I am aware of must necessarily be a model at best (doesn’t it?). I am able to assess a proposition within the context of my model and its ontology, and determine if it can plausibly be true (it coheres) and its likelihood. Your counter-factual proposition about speaking German is non-trivial, in the sense that it requires projecting a scenario within the context of my model, but in essence its truth is a question of coherence. The question of whether something actually exists is (at least it is to me) a question of whether it meets two criteria: does it cohere with my model enough to enter my ontology and; does my model correspond with the actual (empirically verifiable) world? This by definition precludes the existence of something counter-factual but I appreciate this is simply a consequence of my definition of existence. I guess I struggle to understand what definition would allow for the existence of possible worlds. sorry it has taken me so long to get to this – term has been manic. Your questions are interesting ones. They are also very fundamental: what is truth and what is existence? I suspect that it wouldn’t matter what we say about truth, the question of whether possible worlds exist and whether they are required for the explanation of counterfactuals (perhaps the same question) will arise. You are saying it is a sufficient condition of something actually existing that it (a) coheres with your model to the extent that you can believe in its existence, and (b) your model corresponds with the actual world. But of course if the actual world includes possible worlds (i.e if possible worlds are actual) this is consistent with the existence of possible worlds. No problem, Marianne. It always amazes me how you have both the time and the willingness to answer my posts but I’m glad that you do! If possible worlds are causally and spatio-temporally isolated from ours then isn’t this scenario indistinguishable from the one in which possible worlds do not exist? If so then I don’t see how we can admit them into our ontology because if we do then we must also admit ‘invisible sabre-toothed unicorns’ and the infinite set of other undetectable things. I don’t have the time! But am certainly willing. because possible worlds are isolated, we cannot empirically establish that they exist. But this doesn’t mean we can’t establish that they exist logically. There ARE people would would admit sabre-toothed unicorns. Anyone who would admit unactualised possibles (Meinong, for example). “I must say, I struggle with the idea of possible worlds actually existing…”. “Existence remains, then, itself a serious problem in philosophy of language and logic”. It is puzzling indeed, that a concept that elementary and basic eludes philosophy and logic. Could it be the case that we are restricting our thinking by an inflexible principle about existence and nonexistence, using the Either-Or sharp cut evaluation? The Law of Non-contradiction, which states: “It is impossible for anyone to believe the same thing to be and not be” tells us in other words: “either something exists or it does not exist”. Apparently, Aristotle’s second law of thought, pertaining to existence, refers to entities of the physical world. But before discussing the existence of ‘possible worlds’, what about Dreams, for example. Do dreams exist? We experience them! Memories have the same feature: they exist, but they do not exist like physical things do. I think that a new approach in defining ‘existence of the mental aspect of phenomena’ – is needed to encompass the existence of things which are unrestricted by the timespace continuum – including the existence of Potentials, Possible Situations and Possible Worlds. Thanks Zabalawi. The SEP entry takes a fair amount of deciphering! It is both puzzling and not surprising that concepts such as existence elude us. After all, are there any words whose precise meaning we can all agree on? Even concrete labels such as ‘chair’ become blurred at some point (e.g. is a stool a chair? A tree stump?). There is no objective source for their precise meaning so it seems we are left with simply agreeing definitions that are useful, and I’m sure you are right that the definitions we choose restrict our understanding – possibly even define our understanding. However, I’m not sure how the evaluation of existence is anything other than true or false. Can you expand? I agree with you that we need to distinguish between the nature of the existence of mental phenomena and the nature of the existence of physical phenomena. I find the subject particularly confusing since the only way I am aware of the existence of either is by experience, which is itself a mental phenomena. I am therefore unable to escape from the mental world in order to evaluate it. It seems the best I can do is try to formulate a mental model of what I believe is the case – a possible world, if you like – one that includes my identity, justifies my ontology and explains my qualitative experiences of the physical and mental worlds, among other thoughts. Within the context of this model I can evaluate the nature of the existence of dreams, memories and possible worlds but am I justified in believing that my model is correct? “I agree with you that we need to distinguish between the nature of the existence of mental phenomena and the nature of the existence of physical phenomena”. This was exactly the subject I was wondering about. Basically, we get into the distinction between what is physical and what is mental, but perhaps the answer can be simple and clear: All physical phenomena are perceived through the five senses (and their extensions of tools and instruments). Physical phenomena always have their impact (or a trace of a property) that can be received by the senses. Mental phenomena (dreams, memories, anger, joy, fear, enthusiasm….) emerge inwardly – without participation of the sense organs. One can feel joy within a dream – where senses are inactive – and the experienced ‘feeling’, ‘joy’, and ‘dream’ are all mental states. Eastern philosophies get over the ‘gap’ created by Dualism between the physical and mental by employing the perspective of Nonduality: “two distinct phenomena can be inseparable”. Based on the truth of interconnectedness (rather than assumed separation) of phenomena – Nonduality can be an intersting insight to explore. If my ability to entertain an idea depends on my mind having access to possible worlds, and I entertain Leibniz’s arguments about “the best of all possible worlds,” then I am entertaining the idea that it is possible that there is a god whose nature uniquely determines the actual world, in other words, that it is possible that there is only one possible world. If I am able of further entertaining the idea that this god must exist, then must there be a possible world in which that world is the only possible world? Possible worlds seem interesting if they bridge an objective/subjective gap — if possible worlds are not products of minds that consider possibilities, but instead constrain what minds can do, then they could account for objective knowledge. If possible worlds nest, can they still bridge that gap or could objectivity only derive if we have a way to distinguish between worlds that are possible from within the real world, and worlds that are only possible from within possible but non-actual worlds? Also, Dr. Talbot, thanks for making your “Metaphysics and Epistemology” lectures available on Youtube. I enjoyed them very much.